St. Martin's Griffin, 9780312354978, 352pp. Former Junior Leaguer Linda Francis Lee has crafted a scandalously delicious novel that takes you deep into the heart of Texas blue-blood society. 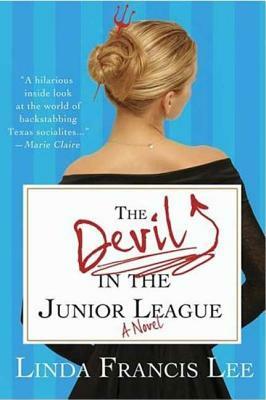 The Junior League of Willow Creek, Texas, is très exclusive. Undesirables need not apply. Fredericka Mercedes Hildebrand Ware (Frede to her friends) is a member beyond reproach...until her life begins to unravel. When her husband betrays her, steals her money, and runs off to places unknown, it's something Frede would prefer to keep under wraps. The last thing she needs is to become fodder for the JLWC gossip mill. And to make matters worse, there's only one person in town who stands a chance at helping her get revenge—Howard Grout, a tasteless, gold-chain-wearing lawyer who has bought his way into Frede's tony neighborhood. But there's a price: She has to get his tacky, four-inch-stiletto-and-pink-spandex-wearing wife, Nikki, into the Junior League.